The hazard of having so many household devices connected to the internet is even more obvious after Friday's cyberattack. A Chinese firm that makes components for surveillance video cameras now admits their technology was used, in part, to carry out the unprecedented strike. XiongMai Technologies acknowledged that a piece of malware known as "Mirai" that's spreading around the internet targets vulnerabilities in their products. 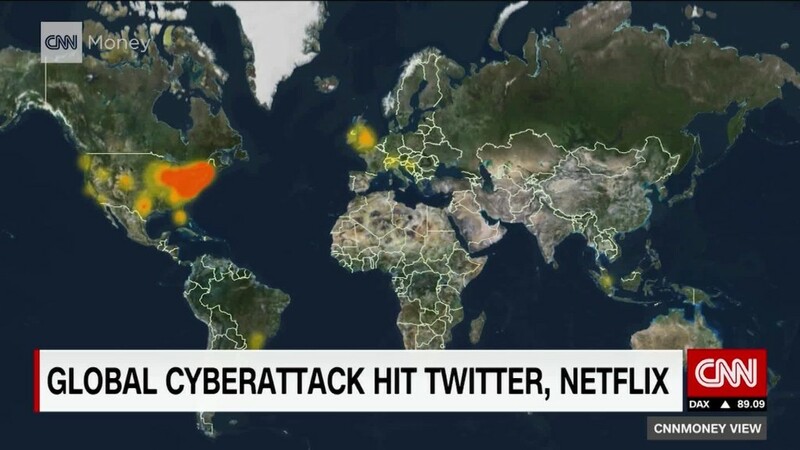 "Mirai is a huge disaster for the 'Internet of Things,'" XiongMai representative Cooper Wang told CNNMoney in an email. "[We] have to admit that our products also suffered from hackers' break-in and illegal use." It appears hundreds of thousands of internet-connected devices, such as security cameras and DVRs, were used without their owners' knowledge to help leverage Friday's attack, according to security firm Flashpoint. XiongMai acknowledged that the weaknesses in their products were identified last year and hackers continue to exploit them. Users were unable to change the default password on their devices, which allowed hackers to install malware and commandeer them for the DDoS attack. XiongMai says components made after September 2015 no longer have this susceptibility and users should update the firmware of products sold before that date. "It's remarkable that virtually an entire company's product line has just been turned into a botnet that is now attacking the United States," Flashpoint's Director of Security Allison Nixon told security researcher Brian Krebs. The infected devices helped inundate New Hampshire based Dyn with illegitimate online requests and in return stalled major platforms like Netflix, Spotify and Reddit during three waves Friday. Dyn's infrastructure is part of the backbone of the internet, working as a middleman to make sure you get to websites you want when you type in the URLs.